The discovery of the fossils caused great excitement both in the public and scientific communities at the time. It was decided that rather than removing the fossils to a museum they should be preserved exactly where they were found and so the fossil house was built around them. However, 125 years later the building is showing its age. Ground water is encroaching, humidity is rising and salts are forming which are damaging the fossils. Conservation work – led by Historic Environment Scotland (HES) and monitored by SNH – includes humidity and temperature monitoring, laser scanning, groundwater ingress, decay mapping, and salt, clay and water analyses. 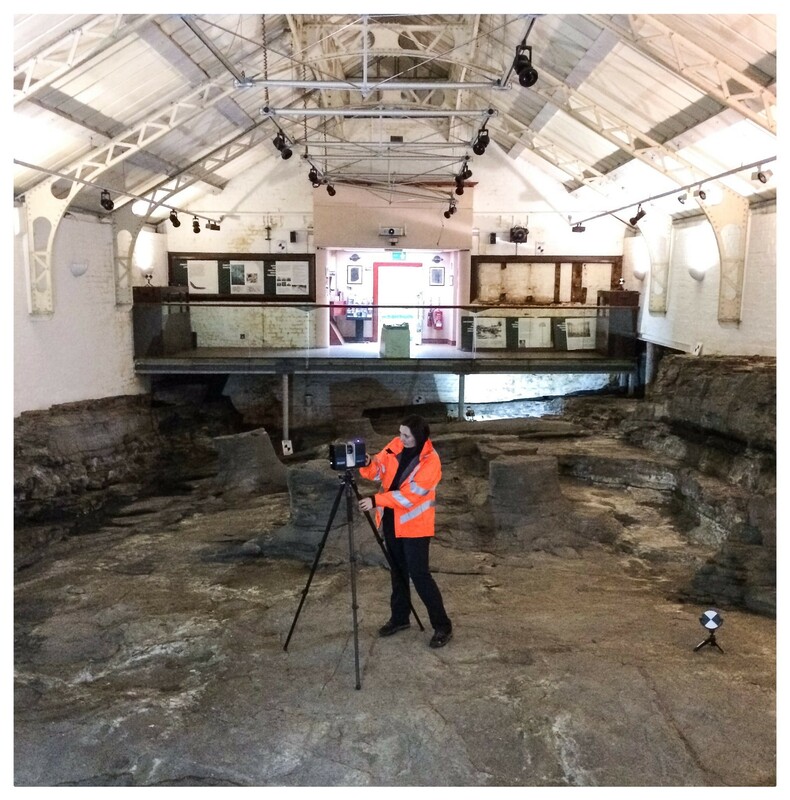 Laser Scanning by Historic Environment Scotland. Note the extensive white salt deposits around the fossil trees.